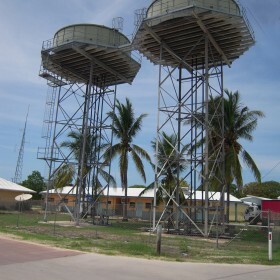 The Department of Local Government & Planning (DLGP) awarded the Lambert & Rehbein Cairns office the Pormpuraaw Infrastructure Upgrade Project in December 2011. The project forms part of the Indigenous Environmental Health Infrastructure Program (IEHIP) and continues Lambert & Rehbein’s involvement in this vital infrastructure program. L&R has previously completed similar Civil Infrastructure projects at the Yarrabah and Lockhart River communities within the IEHIP. Landfill – Upgrade of existing Landfill and Investigation into Waste Management and potential new Landfill. Lambert & Rehbein looks forward to another successful completion of a major infrastructure project.